Russell Crowe as Noah? I have to admit, I was pretty excited to hear that Hollywood has produced a Biblical Blockbuster film about Noah. I had an experience while watching the preview for the first time. I was overcome with emotion. I sobbed. I really do believe I was tapping into God’s heart for all those who were lost in the flood. He cared desperately for them. It “broke his heart” the Scriptures tell us. Reminds me of when God weeps in Jeremiah for those who brought judgement upon themselves. I went to see Noah in the theatre and while they “got a lot o things wrong” I thought it was a compelling and creative story. I am not one to tar and feather people for taking artistic license. Noah’s identity crisis was an interesting point of discussion as well as how the two other sons ended up with wives in the end and the family in fighting that happens in every family. Very creative! I am also aware that the writers and producers were pulling largely from the book of Enoch (which interestingly at least part if not the whole is validated by inspiration of the Holy Spirit. Ever read the book of Jude?) and other extra biblical writings and “histories”. I have read portions of these extra books and find them interesting. As I read through Genesis (reading thru the Bible in 90 days) I was struck by how much history is covered in such a short time. Two thousand years in first twelve chapters! That’s one-third of earths entire history and not many details are given until Abram is mentioned. Then we become involved in this one mans story and the subsequent story of his descendants. But I’m getting ahead of myself. 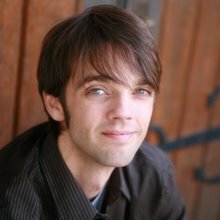 This blog is about Noah. Does this shock anyone else? Noah was the only one walking in close fellowship with God? Out of an estimated billion people, Noah was the only one? At first I got all bent out of shape about the odds involved here. I mean if only one out of a billion love God, then what chance do you think you have? What chance do I think I have? But then I realized this was man centered thinking (as most of our thinking is), instead of realizing that God is on the job and “he who began a good work in you will be faithful to complete it”. When you ponder the account of the flood do you think about the heartbreak God endured? Or do we pity the wicked fools who died and blame God for condemning fellow human beings like that? How would we be today if God judged the world again (as he indeed will)? There was a prophecy surrounding Methuselahs death. His name means “his death shall bring”. He died the year the flood came, I believe this wasn’t in the flood but just before it. His life was a sign. He was the oldest recorded human ever to have lived. 969 years old. This is a picture of the mercy of the Lord. God is long-suffering. He waits as long as possible before bringing the judgement he never even wanted to bring in the first place. He extended Methuselahs life on and on and on to give people more time to repent and find salvation. I believe this speaks to Jesus extending redemption and the message of salvation to all those who perished in the flood. God gives us all way more chances than we deserve. A while ago I remember sobbing at one of the closing scenes of “What Dreams May Come”. Robbin Williams character goes to hell in search of his wife who had committed suicide. He was determined to stay with her and to try to instill faith and hope in her that could set her free. At the time I watched that movie I was in a personal hell of my own and to think that Jesus was right there wooing me back to redemption was an absolutely beautiful thought. Why was Noah the only one left? After giving this some thought, I suspect that this violent society had likely hunted down and killed everyone else who walked with God. Why didn’t they kill Noah? I mean he was a huge target, never far from his giant ark. They were probably having way too much fun mocking him day after day. I bet there was a fresh audience every day to come see the madman who was building his ark far from any body of water. Noah had a firm grasp of reality (aka faith) that caused him to build a ship far from any body of water because God told him to! Would you do that? Would you be Noah or among the masses who mocked him? There are plenty of mockers today aren’t there? There are those who mock Christians for believing that God created the world and only in six days. They ridicule people for insisting that the Bible teaches us that Homosexual behavior is a sin like all the rest and must be repented of. They roll their eyes at people who say that we are living in the last days and that God’s judgement is coming again as it did in Noah’s day. SO, WHAT IS YOUR ARK? What would God have you do in these last days before Jesus returns? What is your “ark”? Are you experiencing a close fellowship with God that you are able to hear from him, and what he would have you do? I am praying for a close fellowship with God. I hope you are seeking this as well. May we all escape the matrix of this corrupt society and its worldview and read the Bible and gain a firm grasp of reality (faith) to follow Jesus and obey him in all he would have us to do. So again I ask, what is your ark? God is a God who makes and keeps promises (also known as covenants). He made them with Noah, Abraham, Isaac, and Jacob. Even today he is happy to make a covenant with anyone who looks to him for salvation (yes, even you! – see John 1:12 and John 3:16)! This reminds me of a Youtube video I saw the other day, which if I’m honest, made me uncomfortable and even a bit embarrassed for the man in the video. 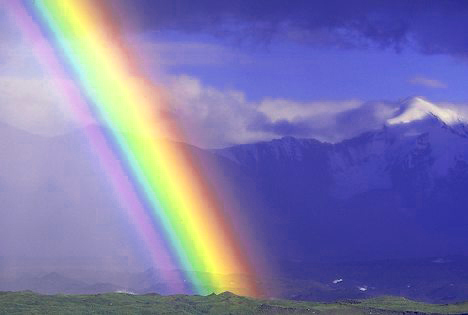 A man sees a double rainbow and just goes nuts in his excitement, wonder, and awe. He ends up sobbing; awe struck at it’s beauty. I want to be that amazed at all of God’s creation! I want to be filed with awe and wonder at the intricacies of a spider’s web, or the bee’s honeycomb (this summer I had an underground hive in my backyard and it was fascinating watching them come and go), or the stars and galaxies that fill the universe as far as we can see even with the most powerful telescopes. Isn’t that just simply stunning? I was researching the universe the other night and came across some information about the Hubble deep field. For ten days in 1995 the Hubble telescope took a picture of deep space, the area it focused in on in the sky was about the size of a grain of sand held at arms length. 3,000 galaxies were found within this dark small patch of sky. 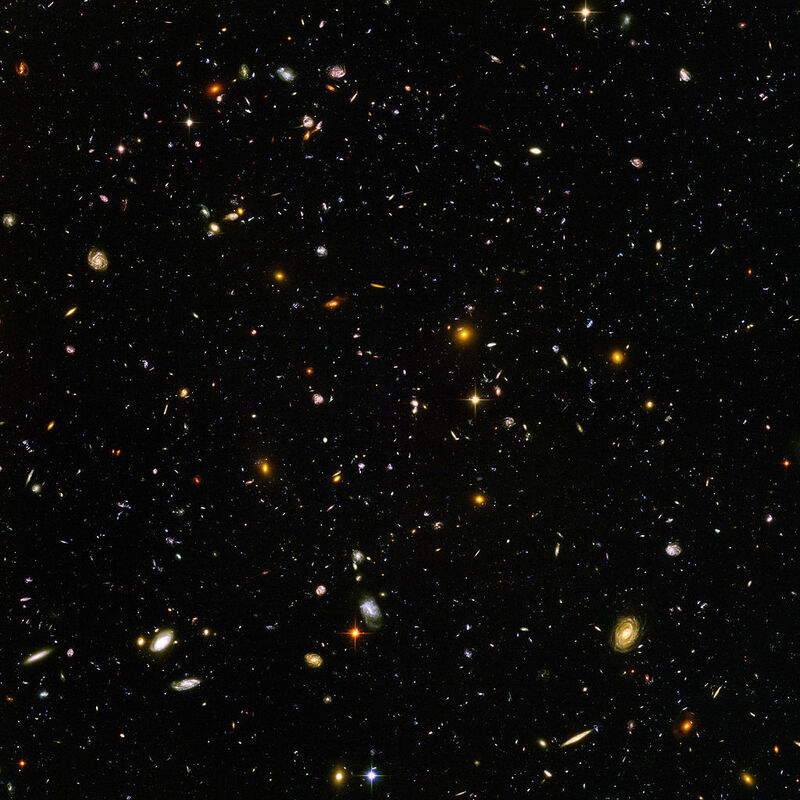 In 2003, the Hubble then took more pictures known as the Hubble Ultra Deep Field. 10,000 galaxies, some of them 13 billion light years away appear in this photo. Just think of how many grain-of-sand-sized patches of sky are all around us on every side, and this is only as far as we can see! Who’s to say that these galaxies don’t just go on forever in every direction? Just think about that for a moment. God created that! Marvelous! It was more than he could ever count. God was making the point to Abraham that his offspring would be innumerable! And based upon the rest of Scripture (see Revelation 7:9-17), God was not simply referring to natural descendants, to Israel and the Jewish people, but also to all (yes, even you the reader) who come to faith and find salvation in the God of Abraham… in Jesus the Messiah, the only true God. Would you take a moment to pray with me? God, You are a brilliant Creator! Thank you for blowing our minds with how wonderfully complex and beautiful this world is that you created. Please soften our calloused hearts and help us each new day to marvel at the beauty of creation, and with grateful hearts to be in awe of you, the Creator! As we look into the night sky may we remember that your unfailing love is as “great as the height of the heavens above the earth” for those who simply trust you. God, in this moment we say that we trust in you. We believe God, help us with our unbelief. Thank you that you are willing to make a covenant with us that we can know such an awesome God in such a personal way all because of Jesus. This is the first of many Messianic prophecies throughout Genesis and the Bible. Genesis as well as the rest of Scripture really is all about Jesus. He is this incredibly fascinating central figure of the Bible and the protagonist in God’s redemptive story. How else have you seen Jesus in Genesis? What fills you with awe and wonder?Leave a reply below!